We’d love your help. Let us know what’s wrong with this preview of Dolphin Way by Mark Caney. People have often wondered if we are the only intelligent life in the universe — well we're not, and they’ve been here all along. Dolphin Way: Rise of the Guardians is a novel set amongst the lives of the other major civilization inhabiting this planet: the dolphins. The book is aimed at adult readers, but will appeal to young adults (teenagers) too. Dolphin culture evolved People have often wondered if we are the only intelligent life in the universe — well we're not, and they’ve been here all along. To ask other readers questions about Dolphin Way, please sign up. Mark Caney It could be a while yet. I've written ten chapters but I can't make any promises. Sorry! This book does something different, and does it well. I'm going to list what I loved about it, followed by what I didn't love. * The details. The dolphin civilization is very inventive. Everything from the unique way dolphins greet each other, to their naming conventions, to the way the dolphins have to go up for air every few minutes, to the way they read the "shades" of the water -- so much fun. * Descriptive. I love books that take me to interesting places, and with this book, I lov This book does something different, and does it well. I'm going to list what I loved about it, followed by what I didn't love. * The characters, especially Touches The Sky and his friend Muddy. * The cliff-hanger ending. I want to read the second part to see how the story ends!!! * Minor grammatical / editing issues. There's a character called "Cloud Passing", but he's referred to as "Passing Cloud" quite a few times as well. Which one is it? * It would be great to see young female main characters who are not there as love interests for the male main characters. * At times there were moments when it felt like the author was informing us about dolphins from a human point of view. It's not horrible, but it was confusing. Whose point of view are following, the dolphins or a detached human narrator? * The pacing is steady up until the end, where it felt sort of rushed and certain parts of the plot resolve too quickly, lapsing into summary. * The cliffhanger ending. You mean I have to WAIT to read the second part to see how the story ends?! I don't think I can wait that long!! DOLPHIN WAY THE RISE OF THE GUARDIANS is a superbly crafted and multi-layered novel, with the result that it has a wide readership appeal which will satisfy children and adults alike, and have them begging for more. In this superb novel author Mark Caney, who is an experienced diver, describes the intelligence and society of dolphins and how man’s destruction of their environment is affecting them. On one level it is a beautiful story of life under the sea as seen through the eyes of bottle-nosed DOLPHIN WAY THE RISE OF THE GUARDIANS is a superbly crafted and multi-layered novel, with the result that it has a wide readership appeal which will satisfy children and adults alike, and have them begging for more. In this superb novel author Mark Caney, who is an experienced diver, describes the intelligence and society of dolphins and how man’s destruction of their environment is affecting them. On one level it is a beautiful story of life under the sea as seen through the eyes of bottle-nosed dolphins, with Touches the Sky as the main protagonist. Challenges are caused by events we know only too well: global warming, food scarcity, overexploitation of resources, greed, and corruption. The younger generation are questioning the ways of their elders. There are choices to be made, choices in the face of danger and in the face of changing times. Choices with personal and moral consequences, choices all face in daily life. How does one adapt to changing circumstances yet retain the values of old? Is this possible at all? All the while the tale of dolphins that eat, play and love in their colourful underwater world enchants us and keeps us spellbound. Yet there is much more to it, as the discerning adult reader will immediately and delightedly discover for himself. Mark Caney has created an entire world for us to explore- and he succeeds in making it real. There are legends, laws, taboos, myths, ancient writings, music, traditional gatherings, mating rituals, birth and death customs, and well-crafted ‘characters’ galore. The reader will very soon realise that what happens beneath the waves very much echoes what happens in the world that we as humans know. This one is a keeper, make no mistake. Each chapter is headed by a quote from ancient Dolphin origin. These quotes not only provide a rich sense of history but are also an integral part of what unfolds, teasing us, warning us, instructing us. Thus chapter one already states "Beware the tool makers. Once they have tasted the power to change, they will not cease until all is changed. There will be no balance, no harmony, no beauty, when the tools are at last laid aside." As with many in the position of power in our human world, those who are most dangerous in this aquatic world are called the ‘Watchers’ and “The Guardians’ in an ironic choice of terms that immediately kindled recognition in my mind. In a time where ‘custom and practice’ and ‘traditional methods’ are often held up as excuses for atrocities in our human world this simple truth holds the answer: traditions can die out or change, but respect for the culture that caused the tradition to be born can be shown in other, meaningful ways. There are many such truths in the book, but we are never preached at: it is there for the taking should you so see it and so choose. In the final analysis, it is not a book of doom, as it brims with understanding, humour, insight and wisdom for young and old. When it may seem as though paradise is lost, there is much that can be regained. This is a book to read over and over: for yourself, and to your children. Touches The Sky, Silent Waters, Deneb Rising, Cloud Passing, Wakes Softly, Fades Into Dusk, Muddy River Mouth, Green Wave Falling, Venus In Mist, Rain Ending and all the others are all fully developed, totally distinct characters- some are funny, some are wise, some are young, some are old, some are ignorant, some are arrogant, some are spiritual, some are greedy and bad, but all are real, and each one contributes to make this tale so believable. The underwater world is painted in bright, sweeping strokes of colour and light as seen through the eyes of the dolphins themselves: we see what they see, and it is an enchanting yet realistic world that any diver will recognise and appreciate and all will want to explore. The book and the Dolphins of the Dune Coast Clan stay with you; I truly hope that this will turn into a long series - it is brilliant! The author, PADI Executive Mark Caney, has a ‘Dolphin Way’ blog at http://www.dolphin-way.com/the-dolphi... that will intrigue those who have read the book or are interested in doing so as well as those who are just interested in dolphins. You can also ask to join his Facebook group ‘Dolphin Way Group’ at http://www.facebook.com/DolphinWay. This is a group for discussions on the subject of dolphins, their close relatives and the issues affecting them. When I first received a request to review Dolphin Way: Rise of the Guardians I was intrigued by a book written from a dolphin's point of view that was for adults. Could go either way but I was willing to give it a try. After reading it, I'd say it is appropriate for anyone from about 16 years and up. There are certain things that amaze me about authors. One of those is how some amazing writers can create worlds so different from the world we live in. Mark Caney is one of those authors that blows When I first received a request to review Dolphin Way: Rise of the Guardians I was intrigued by a book written from a dolphin's point of view that was for adults. Could go either way but I was willing to give it a try. After reading it, I'd say it is appropriate for anyone from about 16 years and up. There are certain things that amaze me about authors. One of those is how some amazing writers can create worlds so different from the world we live in. Mark Caney is one of those authors that blows me away! He has created an entire society that includes a culture, music, stories and legends, poetry, etiquette and all else that makes up a fully developed society. That this society is underwater in the oceans we all know, and populated by dolphins, makes it all the more amazing to me. He has all the details worked out - right down to the quotes at the start of each chapter that are 'from' ancient dolphin poets, scriptures and other writings. It's a little embarrassing to admit, but about half way through the book I realised I had wandered to a place in my mind where I was accepting the story as true. Had to stop for a reality check. The descriptive prose pulled me in until I could see the scenes of the book playing out in my mind as I read. Never once did I forget that the characters were dolphins but they were so well developed that I had my favourites and was trying hard to figure out the secrets and mysteries of the plot right along with them. The issues of the day, in the dolphin world, revolve around the changing ocean and resultant loss of food sources. Something must be done but some dolphins have gone too far in looking for a solution. With members of the Dune Coast clan being murdered and the renegade Guardians living too close for comfort, things start to spiral out of control. Touches the Sky looks for answers and finds betrayal. Dolphin Way: Rise of the Guardians is a pointed commentary about the state of our world and how our lack of response to environmental issues is affecting other species. But it is also a charming and involved coming of age story set in the sea. This is so far out of the box I usually choose my books from that I had no idea, when I started, that I would be in tears by the end, waiting anxiously for the next instalment (yes there's more!) and adding another book to my favourites list. I am now eagerly awaiting Dolphin Way: Captured. Just wanted to say that I cant wait to journey again once more with Sky and the clan! I loved the book and felt it brings to light the concept of dolphins being non-human persons. I have made it a compulsory set book for our volunteers so they can understand the intelligence they are working with when dealing with the Dolphins of Ponta! Thank you for such a beautiful read. I won this book from the First Reads giveaways. Of course I was extremely happy when I received the e-mail saying I had; I had never won anything before in my life. It is also the first autographed book now sitting on my shelf. I have to admit though, when I first saw this book among the giveaways, I did not pay much attention to it. I'm not sure what made me change my mind, I had no idea what to expect from this book. I remember reading a few reviews before deciding to give it a try. And I won! I won this book from the First Reads giveaways. Of course I was extremely happy when I received the e-mail saying I had; I had never won anything before in my life. It is also the first autographed book now sitting on my shelf. I have to admit though, when I first saw this book among the giveaways, I did not pay much attention to it. I'm not sure what made me change my mind, I had no idea what to expect from this book. I remember reading a few reviews before deciding to give it a try. And I won! And I'm so very happy I did. "Dolphin Way" captured my interest already with the very first pages. The story was brought to readers very realistically, in my opinion. At first I considered it completely fictional. The dolphins having such high intelligence, their own beliefs, the way they talked to each other just like humans do... I mean, I knew dolphins are quite intelligent creatures, but as I got further into the book, I began to think, could something near that really be true? How smart are they really? I've heard a lot of interesting stories about them before, but this book really got me thinking. Touches The Sky went through a lot throughout the book. Many friends were lost. Life was unfair. That reminds me of the description of the book. I don't think the society was overly utopian there. Maybe yes, if everyone would follow the Way. Or even if to understand why the Guardians were as they were. But it seemed way too easy to become an exile. I liked how you could distinguish between the characters. They didn't blur into one as it often happens in books, instead they all had their very own personalities. I think One Eye was especially interesting. Who was he really? I also liked how we humans - or Walkers - were brought in. It was fun to read how the dolphins imagined us. Generally, I'd say I definitely loved this book. There were a few small details that I disliked, but not big enough to make some big deal out of those. Like for example using ' instead of " when someone was speaking. It was confusing at first, but I quickly got used to it. I would recommend "Dolphin Way" to everyone, to both adults and teenagers. Although from the point of view of dolphins, it's not a children's fairytale, but a very well written story of how human behavior can affect the sealife. I've read a few books in the past that focus on the lives on animals - Watership Down and The Animals of Farthing Wood come to mind. Dolphin Way is the first book I've read that focuses on animals in the sea. Despite the fact that the characters were all dolphins, I found it quite easy to empathise with them. I particularly liked Sky - and I thought the naming of the dolphins worked reall (I received this book for free as part of Goodreads First Reads giveaways). Despite the fact that the characters were all dolphins, I found it quite easy to empathise with them. I particularly liked Sky - and I thought the naming of the dolphins worked really well. I liked the whole society that the dolphins had, though it seemed somewhat harsh. There's not much room for someone breaking the letter of the law, but keeping to the spirit of it. But then, I suppose, there are issues in all societies. It was really interesting to see humans - Walkers - from the dolphins' perspective, as well as learn of their myths and legends about their origins and the origins of the Way. I especially liked Deneb and Muddy as characters. (Muddy made me smile a bit). I wavered between liking and disliking Dusk - but she was still an interesting, well-rounded character. I liked the different abilities held by different kinds of dolphins - particularly the Starwriters and the Dreamweavers. I really liked the whole concept of how they stored and later unlocked information. The book, on the whole, was written really well. I did notice a few missing quotation marks, but nothing really major. (The use of 'i' rather than 'I' worked quite well, despite the fact I assumed it was a mistake the first time it occurred). This book took me a while to read, and I didn't expect that much from it, but it ended up being wonderful. The basic story itself is quite predictable and it falls into the archetypes of stories about belonging in a community and fighting a battle bigger than you, and sometimes in the first part of the book the writing feels a little repetitive (such as the moments of how important the Way is). It also has interesting female characters, who however fail to pass the Bechdel test. Finally, it could This book took me a while to read, and I didn't expect that much from it, but it ended up being wonderful. The basic story itself is quite predictable and it falls into the archetypes of stories about belonging in a community and fighting a battle bigger than you, and sometimes in the first part of the book the writing feels a little repetitive (such as the moments of how important the Way is). It also has interesting female characters, who however fail to pass the Bechdel test. Finally, it could have used a glossary for all the terms that I ended up learning by the end of the book but had difficulty keeping up with during the first half. However, the fact that this basic story is carried out by dolphins of all unlikely characters is a big plus. I might be biased as a dolphin enthusiast, but hey, we all have our weaknesses. I am stunned by the complexity of societies Mark Caney has portrayed in his book, a feeling that becomes even more prominent by knowing he's based his world on real facts. "Dolphin Way" doesn't simply show a typical coming of age story, it shows a way of life, and a craving for knowing and understanding the environment and the real planet we live in. Even if it took me a while to get into the story, by the end of the book I felt like I was going on a spiritual journey through the eyes of Sky and the teachings of One Eye. Even if the end has plot twists that are a bit overdone, they're given in a really powerful way that keeps you hooked and makes you want to start the next book immediately. I was not sure when I received this book, if it was my cup of tea. However once I started to read, I could not put it down and I have read in four days flat which is quick for me. Although written for the adult market, I think this would be especiall I was not sure when I received this book, if it was my cup of tea. However once I started to read, I could not put it down and I have read in four days flat which is quick for me. Although written for the adult market, I think this would be especially interesting to teenagers too. It was so good I intend to recommend it to my book group when we choose next years books and I can wait for the next one Dolphin Way : Captured, so hurry up Mark and get it written. I, like many others, at first eyed this book with trepidation, a book written from the perspective of a dolphin seemed like it could go one way or the other. I was wrong to worry, Mark Caney's "Dolphin way" is a great success he's taken a tricky subject matter and not only made it accessible but also maintained a page turning story throughout. I go into schools to talk about Marine conservation as part of my work and often tell the 18+ age group to read this book, it has many facts within the pa I, like many others, at first eyed this book with trepidation, a book written from the perspective of a dolphin seemed like it could go one way or the other. I was wrong to worry, Mark Caney's "Dolphin way" is a great success he's taken a tricky subject matter and not only made it accessible but also maintained a page turning story throughout. I don't remember when was the last time I read a fiction book told from a point of view of an animal. Maybe in my childhood. But this book got me curious and didn't disappoint. Reading such a book as an adult was also entertaining. The book takes us to the ocean and tells the story of a clan of dolphins. They live there in their complex society by the well established rules. But times start to change and they need to find out how to deal with it. The stories touches some issues that we humans (o I don't remember when was the last time I read a fiction book told from a point of view of an animal. Maybe in my childhood. But this book got me curious and didn't disappoint. Reading such a book as an adult was also entertaining. The book takes us to the ocean and tells the story of a clan of dolphins. They live there in their complex society by the well established rules. But times start to change and they need to find out how to deal with it. The stories touches some issues that we humans (or as dolphins would all us "Walkers") see in our world, Most obviously the problems of the environment. First the book introduces us more and more to the life of dolphins and what problems arise and the second part of the book is action trying to save their world. It is well divided and also describes the setting very vividly so we can imagine their life under water. The dialogues sound a bit different than normal humans would talk but this gives one the impression of it being a different society, not exactly the same as ours. I just don't get why there had to be the love story about Sky choosing between Dusk and Mist since as it was said in the book dolphins are polyamorous. They didn't need all that trouble and could just enjoy their lives. But this little glitch didn't bother me too much. I put this book on my to-read list because I was delighted to see I’m not the only person who has thrown around the (fictional) idea of cetaceans as sentient beings. So I really had high hopes for this novel. I myself relate better to the great humpback whales as the sentient giants of the ocean, but the dolphins really are much more prolific with a very complex social culture, so choosing dolphins certainly made sense. Over all, I loved the idea of this novel. From naming the whales the Great W I put this book on my to-read list because I was delighted to see I’m not the only person who has thrown around the (fictional) idea of cetaceans as sentient beings. So I really had high hopes for this novel. I myself relate better to the great humpback whales as the sentient giants of the ocean, but the dolphins really are much more prolific with a very complex social culture, so choosing dolphins certainly made sense. Over all, I loved the idea of this novel. From naming the whales the Great Wanderers to having the dolphins use the stars to hold their information and secrets, this novel (and potential series) holds a lot of potential. The idea that dolphins could be so much more self-actualized is not only an idea for a good novel, but something that simply rings true when I learn about them. They are far more than we give them credit for, and I think Caney is able to grasp that concept and turn it into something amazing. While the concepts in this novel were simply amazing, I found parts of the plot lacking. The idea that there is a traitor in their midst seemed intriguing, but it was obvious who it was, and the fact that the rest of the Council couldn’t see his obvious bias didn’t ring true with the intelligent creatures that they obviously were. If I can see it’s obvious who the secret bad guy is, then so should these dolphins. As well, I found the dialogue between the characters quite stilted, and it did not flow well. At the same time, I found the characters repeating themselves constantly without actually moving forward with their conversations, which is something I find frustrating. I understand the facts that were pointed out the first time – I don’t need to reread them three or four times. The underlying stress of this novel is fairly obvious, but that’s a good thing. This novel, while cleverly disguised as an epic tale of self-actualization and adventure, is actually about what we, as humans, are doing to our planet. It’s a call for help with a stress on the fact that many of the creatures around us can’t comprehend that their habitats are drastically changing because of us. This novel is a good read and toys with the idea that we are not the only sentient beings on this planet. I think it’s a lesson that a lot of us need to focus on. I have at last found time to reads this book. Travelling to my home in Norway provided the perfect opportunity. I opened the book and read the first pages on the plane. I wondered how I would find this book, how could a book possibly compare to the numerous times I have been fortunate to dive with these creatures in the wild. I had to push through the first chapter, as I tried to orientate myself to the story line, was this a book about dolphins or and orientation to the underwater world? I realiz I have at last found time to reads this book. Travelling to my home in Norway provided the perfect opportunity. I opened the book and read the first pages on the plane. I realized, as I read further, that I was experiencing a certain resistance orientating myself to the fictitious dolphin world the author had created, still wondering how this book could compare to diving with these majestic creatures. I found myself reading the pages as one would digest an autobiography or a technical manual, possibly expecting the publication to be a documentary on dolphins. I was reading this book as if I was floating on the surface trying to view their world from above. Once seated in my cabin, warm and relaxed, tired from the day’s work of building, I opened the book once more to continue. I found myself descending into the pages, submerged into the life of the dolphin clan. I found the story line entertaining, but there was much more to this book than just the story. The overview of the utopian system, the reasoning that underpinned their beliefs in the way, the gathering, the aligners, the star writers, the healers, the story tellers and the cleaners, all fascinated me. The romance, the dealing with death whether that of a friend or a foe. The reference to the Great Alluvium now started to make sense, it gave a 3D view to their existence. The development of Touches the Sky, his understanding of the wrong doings of the walkers and the mystery left with the reader of whether Old One Eye was in fact the spirit of his father. In a word this book is - Brilliant !!! It’s one of the few books I missed when I finished it. If there was a sequel - I would rush out and buy it today. You miss the dolphin clan and their adventures. Well done Mark Caney - it’s one of those books you can’t put down once you start. Ok I wont lie. When I first saw this book I was like... ookeey, this is different, and it is but and there is a big BUT, it is really, really surprisingly good, it was wonderful in fact. Yeah I know it is about dolphins and it is not a childrens book. The b Ok I wont lie. When I first saw this book I was like... ookeey, this is different, and it is but and there is a big BUT, it is really, really surprisingly good, it was wonderful in fact. Yeah I know it is about dolphins and it is not a children´s book. I don’t buy a lot of books, usually I borrow them at the library or try to find an electronic version for my Kobo. But this book intrigued me, I am an animal lover and all the good reviews made me add it to my to-read list. Since I could not find it at the library I decided to take a chance and bought it on the net. I must confess that I've been disappointed at the beginning. Things happened, but not a lot and it really seems to be going nowhere. Plus you have to familiarize yourself with the vo I don’t buy a lot of books, usually I borrow them at the library or try to find an electronic version for my Kobo. But this book intrigued me, I am an animal lover and all the good reviews made me add it to my to-read list. Since I could not find it at the library I decided to take a chance and bought it on the net. I must confess that I've been disappointed at the beginning. Things happened, but not a lot and it really seems to be going nowhere. Plus you have to familiarize yourself with the vocabulary proper to the dolphin society, and I found it quite long before I could figure it out. It reminds me a lot of Watership Down, but I found it less tedious to get used to the vocabulary in the rabbit's story. Anyway, this is why I would give 2 stars to the first half of Dolphin Way. BUT things became clearer around the middle of the book, and the story finally starts. Interesting things happened and I finally took interest in the story. So the second half of the book deserves its good reviews and I would give it 4 stars. Also, I really loved the quotes at the beginning of each chapter, some them where sooo beautiful. This is why overall I give this book 3 stars. I think and hope the next book will be as good as the second half of the first ! Absolutely wonderful novel! I stumbled across this book online and decided to take the risk and order it. So very glad I did. Not only does the story have an interesting and brilliant plot, but the author did an amazing job of creating a culture for these dolphins. The first half can be a little slow, basically setting the stage for the second half, which is much more exiting. I would definitely recommended this book, even if you are not into animal tales. 'Dolphin Way' is unique to it's genre. Well-written, full of insights on dolphin society, even though it is fiction. I did jib just a little at one group of dolphins, feeling they seemed too much like twisted human beings; and i don't think there is any evidence for that kind of mentality in dolphins. It can perhaps be read, in a symbolic sense, as an indictment of human beings in their less delicious manifestations, particularly the tendency to fanaticism. I think everyone should read this book... Love it!!!! Dolphin Way is undeniably compelling, but unless you're obsessed with dolphins and aquatic life, it's a book that easily becomes repetitive and typical. An absorbing escape - beautifully crafted. Sky embarks on an adventure to outwit the G Rise of the Guardians is book one in the Dolphin Way series, Mark Caney's beautifully imagined exploration of how life must be like for dolphins. This review is kind of a ramble and contains minor spoilers. Sorry about that. Animal fiction has a lot of sub-genres, but I've found that most of them can be divided into two basic camps: adventures and quests (Tailchaser's Song, Watership Down, Whalesong, Wolves of the Beyond, Warriors, Redwall, Ratha's Creature, Silverwing, Ratha's Creature, Fire Bringer), and heavy philosophy (The White Whale, The White Bone, Ratha's Challenge, The Sight). "Way"'s blurb let me know that I was pretty clearly This review is kind of a ramble and contains minor spoilers. Sorry about that. Animal fiction has a lot of sub-genres, but I've found that most of them can be divided into two basic camps: adventures and quests (Tailchaser's Song, Watership Down, Whalesong, Wolves of the Beyond, Warriors, Redwall, Ratha's Creature, Silverwing, Ratha's Creature, Fire Bringer), and heavy philosophy (The White Whale, The White Bone, Ratha's Challenge, The Sight). "Way"'s blurb let me know that I was pretty clearly walking into camp 2, and while I prefer the former, I'm easy to please when it comes to talking animals. Talking dolphins no less!!! "Way" has interesting ideas and lovely writing, but suffers from predictability and mediocre characterization. Sky is bland, even for a Standard Hero, and is annoying in his staunch refusal to consider outside opinions. A pacifist does not have to be boring! Or pretentious! They can be wiley or empathetic or smooth or humble, etc. etc. etc. The only thing particularly interesting about him is his backstory, which of course is tragic, but you know what? That's a trope I never get sick of, and the descriptions were truly haunting, so moving on. I don't mind bland heroes so much if the supporting cast, and their interactions with Bland Hero, make up for it. Unfortunately that's the big downfall here: very little chemistry. Muddy and Deneb are the most interesting we're introduced to, which is good, since (view spoiler)[it would be unfortunate if we didn't care about Deneb when he was kidnapped. Luckily, he was my favorite. (hide spoiler)] We're supposed to believe that Sky and Dusk are essentially soulmates, and they spend the entirety of the book bickering while narration laments of what used to be. Used to be what, exactly? We never see them working together or enjoying each other, except for (view spoiler)[Dusk's redemption death (hide spoiler)]. We don't get much backstory on them that isn't an offhand comment via the narrator. Dusk herself is just... man. Someone who is supposedly hyper intelligent and yet falls for a mustache twirling cult leader? Because... bad boys are hot, I guess? Sky seems to view her as a once devout altar girl turned rebellious teen, who he must rescue from herself. It's belittling. Dusk's fall from faith isn't well explored, because by damn if there aren't real reasons someone would turn away from out-of-date dogma. In fact, that's supposed to be a problem Sky himself is meant to solve! If he's unable to relate to his own lover, how will he become flexible enough to accommodate strangers? Dusk is also trapped in two love triangles, one between Sky and Storm and another between Sky and Mist, despite the fact that dolphins are promiscuous (both in real life and as established in the book). Actually, that's a big thing that bothered me while reading. Let's expand a little. It's pretty common for authors to hand wave the natural sexualities of whatever species they're writing in favor for a more relatable human version. Especially dolphins, good God. I can't blame Caney for that! But, the book establishes early on that we are, in fact, in actual dolphin land when it comes to mating/pregnancy, because other characters have multiple mates, and it's not unusual for a mother to not know which one is the father of their calves. Our main characters are held to a different standard. They can only have one, for some reason, so there's needless romantic tension. Sky is even beside himself when he finds out Dusk is seeing someone. Why? We know it's not looked down on or unusual for you to take multiple mates. Why is Dusk bad for this? Why are you bad for this? I mean, it's stupid that this particular someone is the mustache curling cult leader, but Sky doesn't know that at the time. Otherwise, "Way" is predictable, and I wish it wasn't. Dolphins having a theological crisis in the middle of an environmental crisis? Awesome, tell me about it. Obvious twists covered in obvious red-herrings? Not so much. You will feel smarter than the characters, and it's kind of a shame. There are also a lot of little cliches that are mostly just kind of funny, like (view spoiler)[Sky beaching himself on a rocky ledge with the villains searching for him below. He cut himself on the rock, and a drop of his blood is beading on the ledge. If it falls, he'll be noticed!! (hide spoiler)], but some of them might ruin the illusion. My last and most painful grievance is that the story doesn't tie up at the end at all. It stops in the middle. This would be fine, I guess, if the author's reply to, "Is there going to be a sequel?" was, "yes, eventually" and not "idk, maybe!" I feel like I'm ragging on it too much though. I really did like this little book! The writing is rich, the world is rich, and there's room for improvement. If he drops the overdone "oh no... which female will our really boring male pick... so hard...", I feel Caney can do it. I really hope he does, too! Touches The Sky is a young, male dolphin living within a clan which follows the teachings of the Way, passed down through generations. He is an outsider, rescued by humans when his family were beached but he is loyal to his elders. As he trains as a Novice, those around him start to ask questions about a mysterious group of rebels known as the Guardians. I feel a bit ambiguous about Dolphin Way. The very first page is a moving account of a beached dolphin and our main character witnessing a slow Touches The Sky is a young, male dolphin living within a clan which follows the teachings of the Way, passed down through generations. He is an outsider, rescued by humans when his family were beached but he is loyal to his elders. As he trains as a Novice, those around him start to ask questions about a mysterious group of rebels known as the Guardians. I feel a bit ambiguous about Dolphin Way. The very first page is a moving account of a beached dolphin and our main character witnessing a slow and distressing death of a friend. There are little passages that describe the underwater world with an obvious passion and charming detail. I loved the fable of how the hermit crab and the sea urchin and how they came to be and when One Eye tries to explain the concept of ownership to Sky. Yet the dialogue ruined it for me. Sky sounded like a child, with no nuances of speech and an excessive amount of exclamation marks. I understand he was meant to be a younger dolphin but from the story he should have been an adolescent at least. The older dolphins had far too formal speech with the exception of One Eye, who was the only character I really liked. The dolphins also had the habit of stating the obvious and repeating themselves. Dusk was exasperated. This was exactly what drove her crazy about him. I quite agree with Dusk and by that point more than half the book had passed with Sky repeatedly stating that so and so wasn't the Way. I think the point that humans are polluting the planet can be told in a more subtle way than having your characters mention it over and over again. When they watch the sharks being caught for their fins, and the horror of seeing one thrown back alive but without its fins, it's self explanatory without the dolphins explaining it to the reader in simplified terms. I'm not sold on the dolphin concept of organised religion either, which is really what the Way is. It seems far too human a thing to me and dolphins don't seem particularly benevolent creatures. I have watched enough documentaries to believe in the things that the Guardians do but not to set quotas and expect other species to comply. The ocean's a big place after all. The last 80 or so pages picked up the pace and I wish the event that happened at the end of chapter 35 had been brought forward in the story as it feels like something is happening at last. These final chapters also feel a lot more accomplished and would make me consider reading more of Mark Caney's work in future. The dolphins may follow the Way, but most don't know the Way can be change to fit the current situation. One group the Guardians are now following a prophet that had different ways about the Way and a new leader name Storm after he took out the last leader who happens to be Sky's father. This new leader has twisted the Way to include killing and believes the Way only belongs to the Ka-Tse and not the other groups of dolphins that live in the ocean. Both Sky and Dusk would come across the Guardi The dolphins may follow the Way, but most don't know the Way can be change to fit the current situation. One group the Guardians are now following a prophet that had different ways about the Way and a new leader name Storm after he took out the last leader who happens to be Sky's father. This new leader has twisted the Way to include killing and believes the Way only belongs to the Ka-Tse and not the other groups of dolphins that live in the ocean. Both Sky and Dusk would come across the Guardians often. For Sky it's because someone found out he was to be an Aligner (one who writes about the Way) and their leader wishes to get rid of him. For Dusk it's for her ability to read information from the stars and I believe for Storm he wanted more than that. Unfortunately after a flying fish court that exiles Sky for saying that he meet the Guardians (he was swimming for his life). He meets a wise dolphin that teaches him a new way of thinking and how to hold his breath longer. Storm himself is caring a secret. Dusk will have to figure out if Storm's new Way is right or if Sky's Way the right Way to follow. The only thing left in the next book would be to see if the prophecy about a dolphin speaking to a human comes true. wish there was a 10 star system instead of just 5. A 3 star rating isn't a bad one but it appears to be bad. even though I think the ending could have been a bit less of a cliffhanger. the idea and the teachings of the book. The message to the reader is very obvious and not at all disguised in the story, but on the other hand I totally get it, I myself wanted it loud and clear all over the place. Please people care for our nature, especially the oceans. In fact it couldn't be TOO obvious. 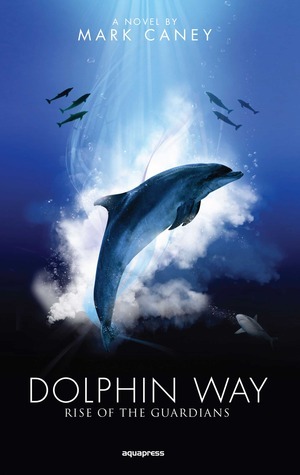 I was very intrigued by the concept of Dolphin Way when I entered (and won) the goodreads giveaway. I love reading books that are different from what I usually read, unfortunately I just really could not get into this book at all. I may pick it up at a later date and try again because I am sure it is a good book. A gentle story of the plight of the oceans and our world from the perspective of dolphins. Having had many extraordinary experiences interacting with dolphins while living on a sailboat for 17 years I found this touching and could very much relate. The Dolphin Way was interesting because the characters are dolphins. There is an obvious message of conservation. With any fantasy novel there is a learning curve for the language used. Dolphin drama. I became fascinated with dolphins after an extraordinary experience that started one night on a lonely stretch of desert coast in the Red Sea. There I was fortunate enough to spend many hours alone with a wild dolphin. By the time I left, I wanted to learn more about these incredible creatures. I have been a diver since I was eighteen, when I started as a hobby while with the British military. When I became fascinated with dolphins after an extraordinary experience that started one night on a lonely stretch of desert coast in the Red Sea. There I was fortunate enough to spend many hours alone with a wild dolphin. By the time I left, I wanted to learn more about these incredible creatures. I have been a diver since I was eighteen, when I started as a hobby while with the British military. When I was 23 I left the services to open a diving centre in Paphos, Cyprus. I lived abroad for eighteen years and during that time travelled to many countries, training scuba instructors, conducting technical diver training and working on diving related projects. These varied from photo shoots of sharks, running private courses for Arab sheikhs, and conducting a four month expedition to east Africa. In 1996, I got the job of vice president with PADI (the Professional Association of Diving Instructors) and moved back to the UK to work in their PADI Europe, Middle East and Africa office in Bristol. I have spent a great deal of my life on or in the sea. In addition to diving frequently, my other main hobby is sailing cruising yachts. During my life I have been fortunate to have had many encounters with dolphins, and have had the chance to study them in detail. I am also a qualified Marine Mammal Medic with BDMLR. My novel, Dolphin Way: Rise of the Guardians, was published in 2011.